Some of the best things in life just happen – you stumble upon them unknowingly, with absolutely no idea how important they will be to you in the future. But later, after the fact, everything sinks in and the waves of emotion hit. At this point in time, a personal importance is assigned and we’re left clutching at thin wisps of memories. These are the moments when we realize just how lucky we are and what we have run into. Things happen. Life happens. 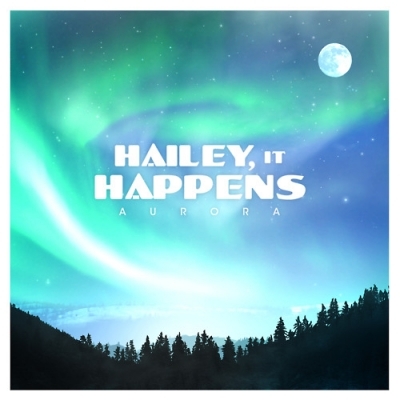 The other day I stumbled upon electronic pop duo Hailey, It Happens and, for better or for worse, decided to give their debut album a listen. Now, after the fact, I’m certainly glad I did. Their debut albumAurora is pop in the vein of Owl City and Ben Gibbard’s The Postal Service fused with the songwriting talents of Andrew McMahon (Jack’s Mannequin and Something Corporate). Picture a less poppy, more capable Owl City and you have Hailey, It Happens. “I Gave Her My Heart, She Gave Me a Pen” opens the album with a combination of drums, piano, and synth. Vocalist Chris Cleary’s superb range is highlighted through the chorus – the noticeably high quality mixing by Paul Levitt complements the band’s sound quite nicely, allowing Chris’s voice to really shine. His honest and endearing delivery takes center stage on Aurora. On “Invincible”, Cleary sings, “…and this is where I spent my nights with the king of pop and the piano man”, a warm memory that should be easy for many to relate to. Holistically speaking, the overall sound of Aurora could be characterized by the natural phenomena itself. The album includes numerous breath-taking moments of sonic brilliance – the music is fun, catchy, and poppy enough to hook you in, but once you’ve been pulled in, the honest, passionate lyrics keep you around for more. But that isn’t where Aurora shines brightest – the intricacies of the album are what really make it great. It might be a backing synth line from Bobby DiBari on one track or an echoed “woah” on another, but on each song, there’s something unique and inherently beautiful hidden underneath the basic makeup of their music. This is what makes Aurora so good. Aurora isn’t without its flaws, though, as the duo provide very little variety throughout the course of the eight-track album. For the most part, the songs are all pretty similar sounding with similar song structure and composition. Closing track “Hurricane” is a bit more toned down and is certainly more reserved than the rest of the album, ending the album on a different (and welcomed!) note. Great things may in fact be better when they are least expected. Things happen. Life happens. I may not know who Hailey is, but Hailey, it happens. Life happens. We’re all just here for the ride. 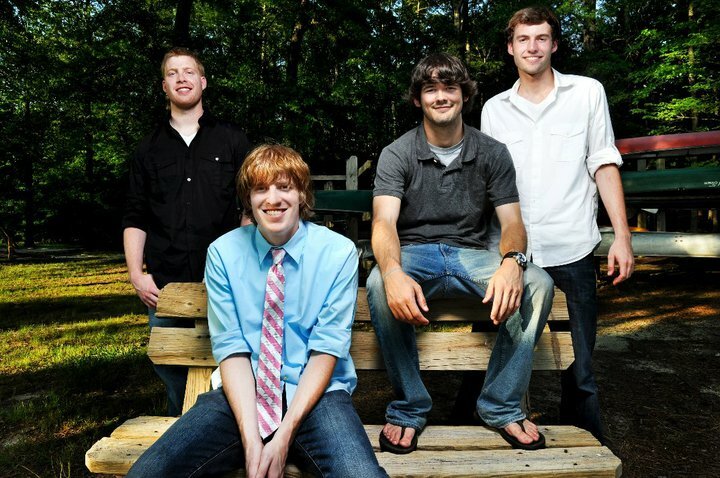 The Jim Ivins Band is a pop rock band hailing from Richmond, Virginia. In 2010, the band worked with Ace Enders, releasing a self-titled EP with Ace as producer. Their brand of acoustic pop rock is highly accessible and honest, driven by the earnest and consistently open lyrics of frontman Jim Ivins, strongling resembling the vocal delivery of Andrew McMahon of Jack’s Mannequin and Something Corporate. The backing instrumentals of The Jim Ivins Band are slightly less pronounced than that of Jack’s, but the softer, more acoustic sound complements Jim’s voice well. If you’re a fan of heartfelt, honest pop rock, be sure to check out The Jim Ivins Band. Their newest project, a three-track charity compilation entitled Songs Of Life: The Kathy Ivins Project, is dedicated to the mother of Jim (vocals) and Jack (drums), who lost her life to melanoma last July. The new compilation will benefit the Kathy Ivins Fund, which aims to promote fitness and wellness programs. Listen to “Moving”, one of the three songs from Songs Of Life: The Kathy Ivins Project, below. For more music, head on over to the band’s website. As promised, Andrew McMahon of Jack’s Mannequin announced details about a fundraising concert via Twitter. He will be hosting a concert for his Dear Jack Foundation on November 18th in Los Angeles, California and will play music from both Jack’s Mannequin and Something Corporate. “If you have been dreaming of a night filled with the music of both Jack’s Mannequin and Something Corporate all while helping a great cause, you are in luck! The first annual concert to benefit The Dear Jack Foundation will be held on November 18th at El Rey Theatre in Los Angeles. This evening will mark the first time Andrew will perform with both of his bands, and he will also be joined on stage by special guests Marc Roberge from OAR and singer-songwriter Matt Nathanson. Proceeds will also benefit the Pediatric Cancer Research Foundation and Children’s Hospital Los Angeles. Tickets will go on sale to the general public on September 18th via Ticketmaster , , but starting today at 9:00 AM EST you have access to exclusive PRE-SALE TICKETS!! !